Nothing gets the team on the same page like good communication, and as far as we're concerned, good communication starts with a great dry erase board! 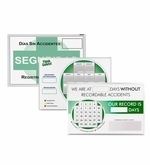 Whether the sales team is tracking their goals, the warehouse is observing safety or production is monitoring orders we have the board for you. In fact, we can create anything that you can dream up. 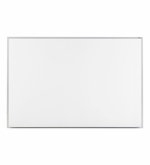 Our Opti-Print™ dry erase boards will put the layout you need in full color under a ghost-free dry erase surface. 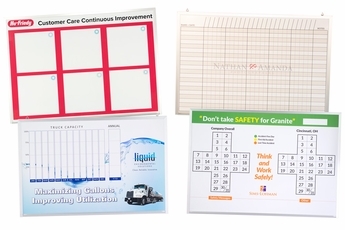 Our high resolution photo quality graphics look just as good if you're branding your company on the whiteboard for the conference room as they do on an in/out planner for the breakroom. 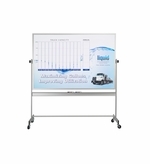 Printed portable whiteboards with a magnetic receptive dry erase writing surface. 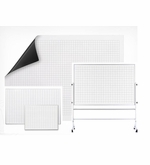 From "Options" "45C-1: 4' Tall x 5' W / Print on 1 Side (+$897.00)" "45C-2-BU: 4' Tall x 5' W / Print 2 Sides Both Up (+$980.00)" "45C-2-PR: 4' Tall x 5' W / Print 2 Sides Reversed (+$980.00)" "" "46C-1: 4' Tall x 6' W / Print on 1 Side (+$975.00)" "46C-2-BU: 4' Tall x 6' W / Print 2 Sides Both Up (+$1025.00)" "46C-2-PR: 4' Tall x 6' W / Print 2 Sides Reversed (+$1025.00)" "" "48C-1: 4' Tall x 8' W / Print on 1 Side (+$1183.00)" "48C-2: 4' Tall x 8' W / Print on 2 Sides (+$1334.00)"